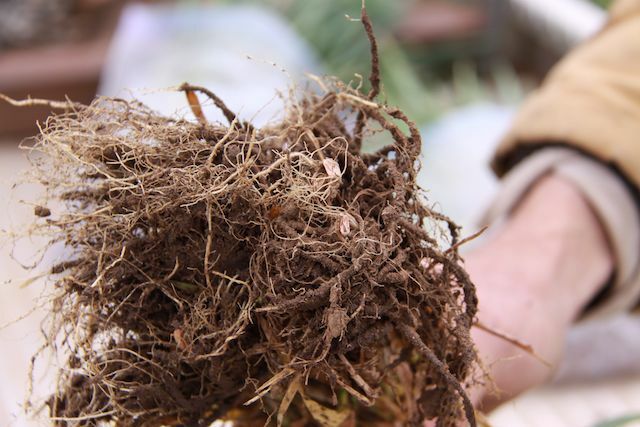 There are few crop inputs that deliver as much return on investment as nitrogen fertilizer. It takes approximately two pounds of nitrogen, costing approximately $1.00, to produce one bushel of grain worth about $5.00. 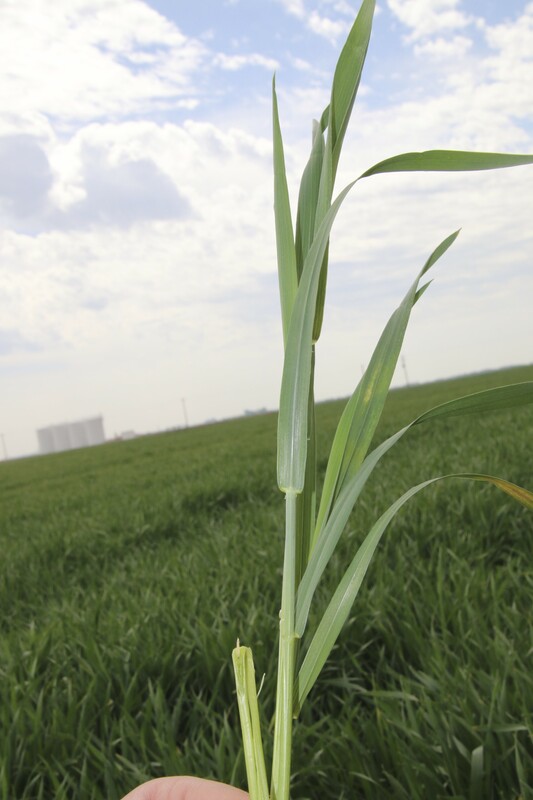 Of course, nitrogen is not the only yield determining factor in a wheat crop. Also, the law of diminishing marginal returns eventually kicks in, but nitrogen fertilizer is still one of the safest bets in the house. 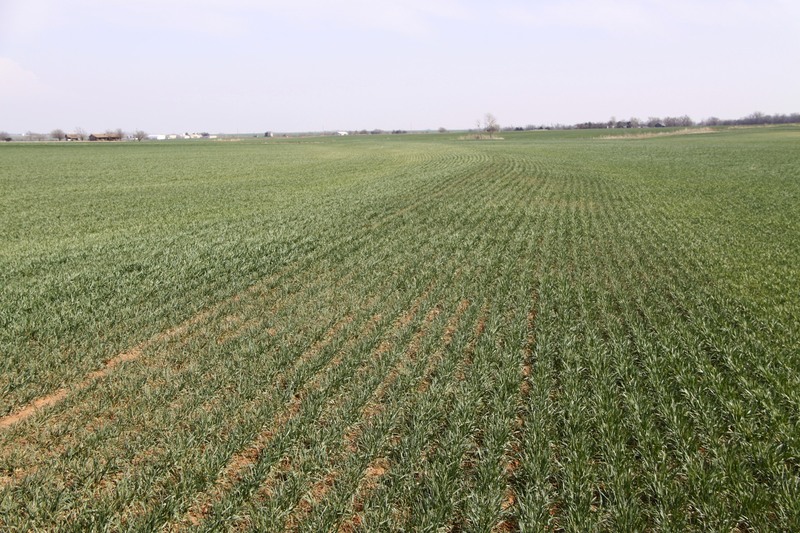 On Friday, March 28th I made a tour through northwestern Oklahoma to diagnose a few problem fields and get a better feel for the wheat crop condition. I have provided a brief description of what I saw below. I did not make it to southwestern Oklahoma this trip, but by all accounts the wheat is dry, brown, and barely hanging on. 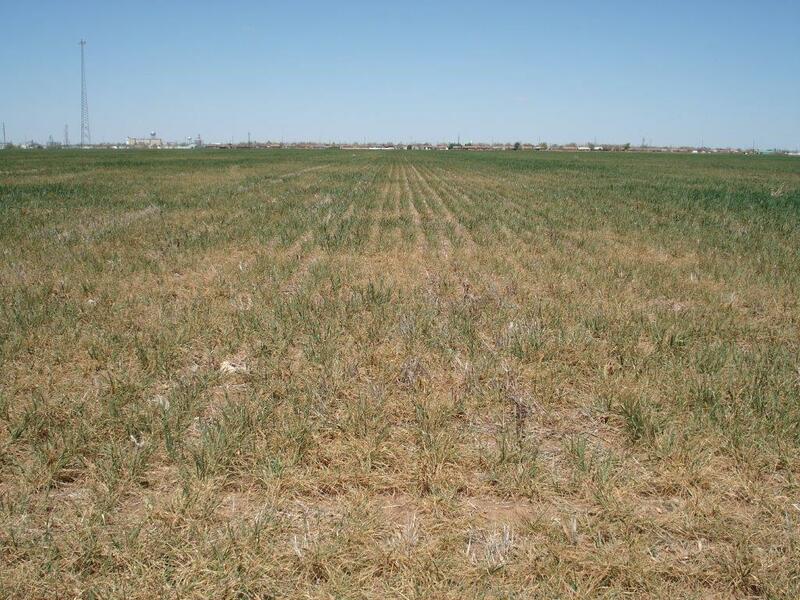 A best case scenario in areas southwest of Apache this year is a poor wheat crop. It will have to rain a lot between now and harvest for this to happen. Reports from Apache eastward are somewhat better. 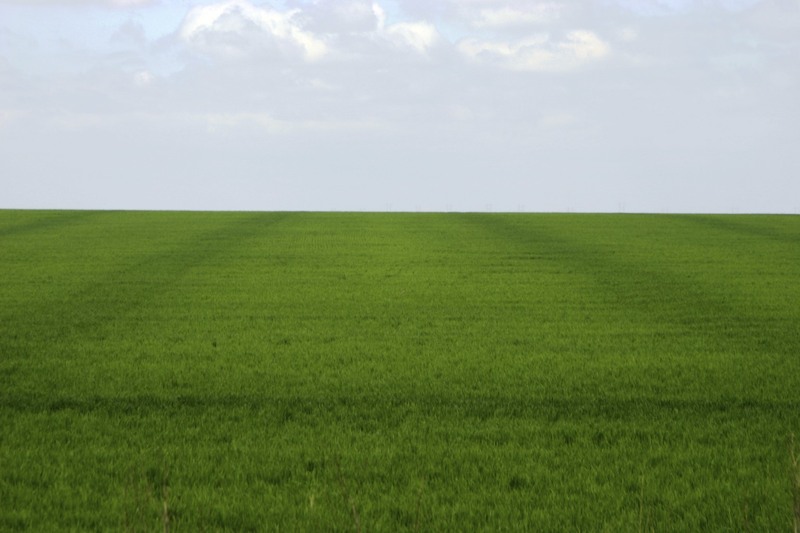 The wheat crop in this area still has potential, but the potential is declining. A farmer from the Hinton area called yesterday and indicated that moisture could still be found about 1 inch below the soil surface, but the top is still very dry. We need a soaking rain to move nitrogen into the rooting zone and to perk the crop up post dormancy. My first stop this morning was at Lamont. Wheat in this area is smaller than normal and is at approximately Feekes GS5. There were several yellow areas in fields and uneven wheat. Much of this yellowing appeared to be nitrogen deficiency, but not all of it was due to insufficient top dress nitrogen. We simply have not had enough moisture to get good movement of top dress N into the rooting profile and for the wheat crop to take up applied N. Some of the yellowing was also due to drought stress. 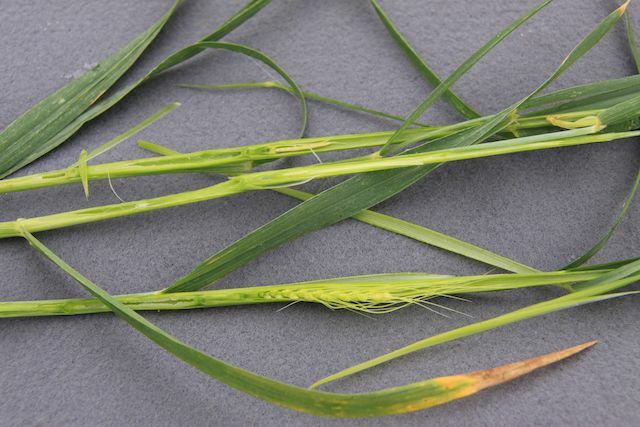 Some of the yellowing could have been due to brown wheat mite and/or winter grain mite activity (described more below). My second stop was at our Cherokee variety plots. Wheat in this area was uneven, similar to Lamont. As shown in the picture below, part of our plot area was showing significant yellowing. Initially, I thought this was due to changes in soil type/nutrient variability. 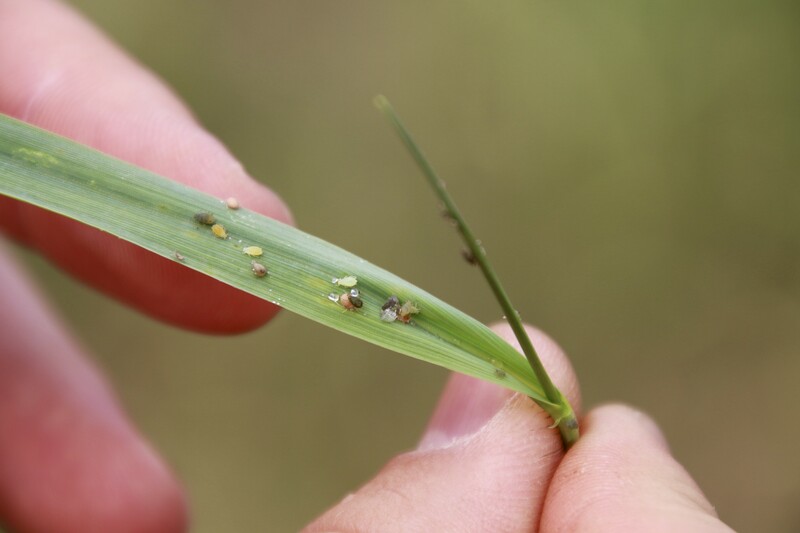 Upon closer inspection, this area was infested with brown wheat mite. These symptoms have only started to show in the last week or so. Thanks to variety trial cooperator Kenneth Failes, this situation will be remedied as soon as the wind settles. 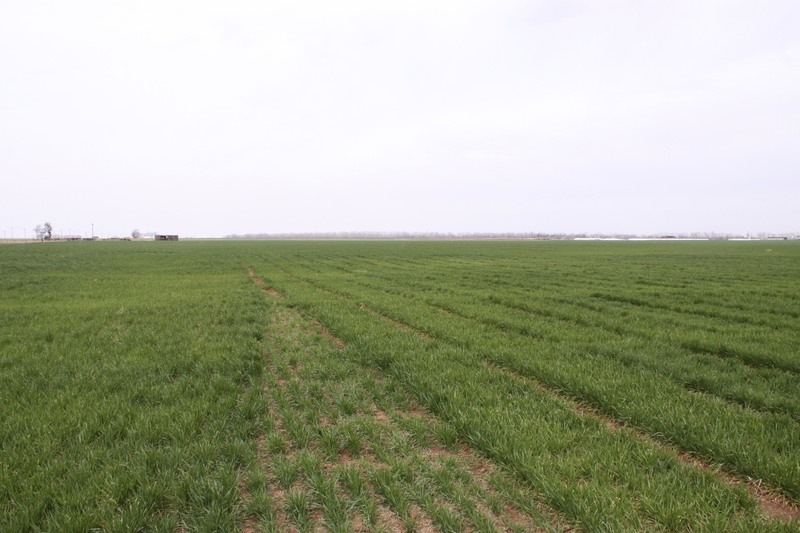 Next stop was Alva, where the trend of uneven and yellow wheat continued. 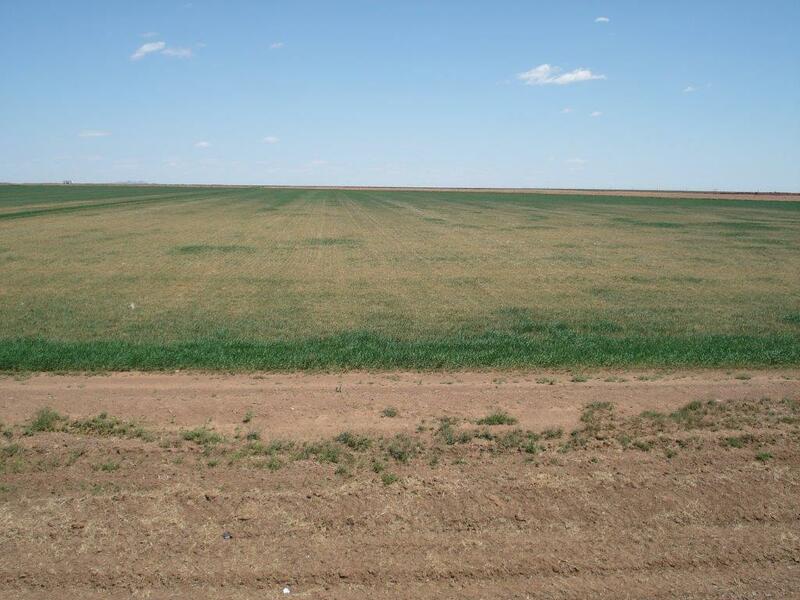 As shown in the picture below, there were several fields in the area with spots of dead or nearly dead wheat. 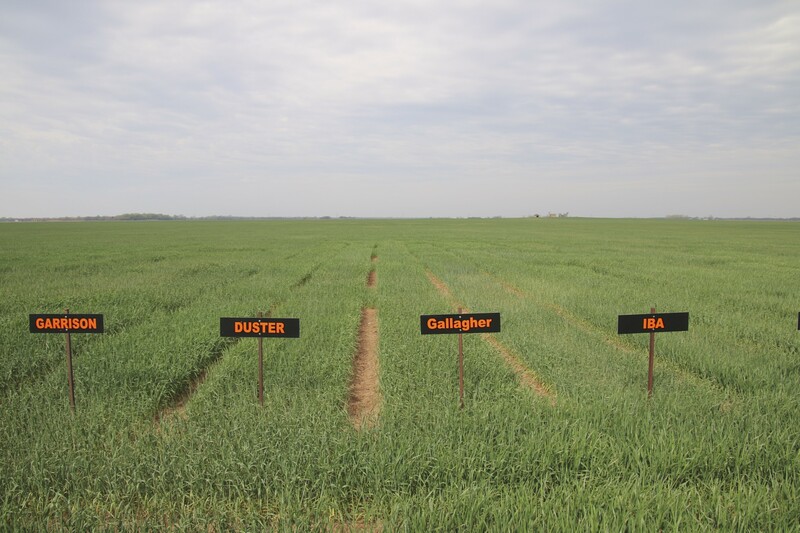 Brown wheat mites were found in most of these fields and probably weakened plants which increased the amount of winterkill. In some fields seed had been placed at the proper depth, but the seed trenches were partially filled with residue rather than soil. 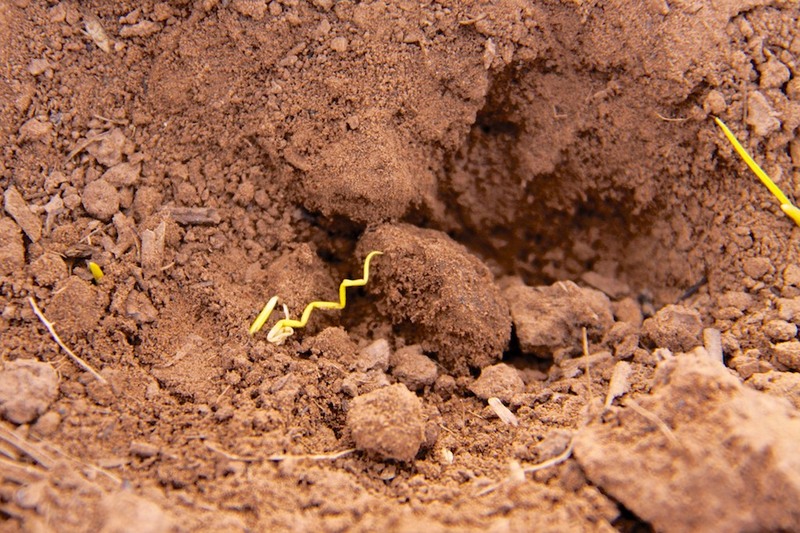 Residue provides less insulation than soil and likely made heavy residue areas more prone to winterkill. I also noticed in these fields that the crown of the plant had developed in residue rather than soil, which likely increased winterkill. 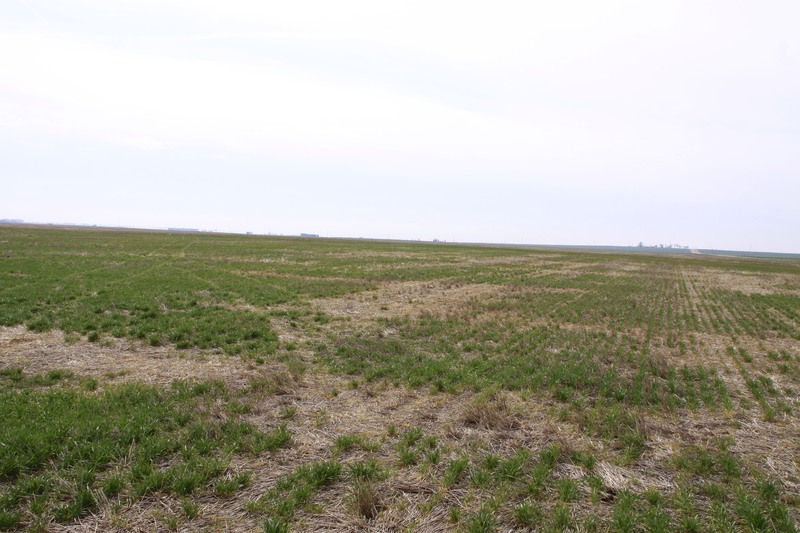 I looked at additional no-till fields in the area with severe winter injury, but plants that were still viable. Grazed fields seemed to have greater injury than non-grazed. 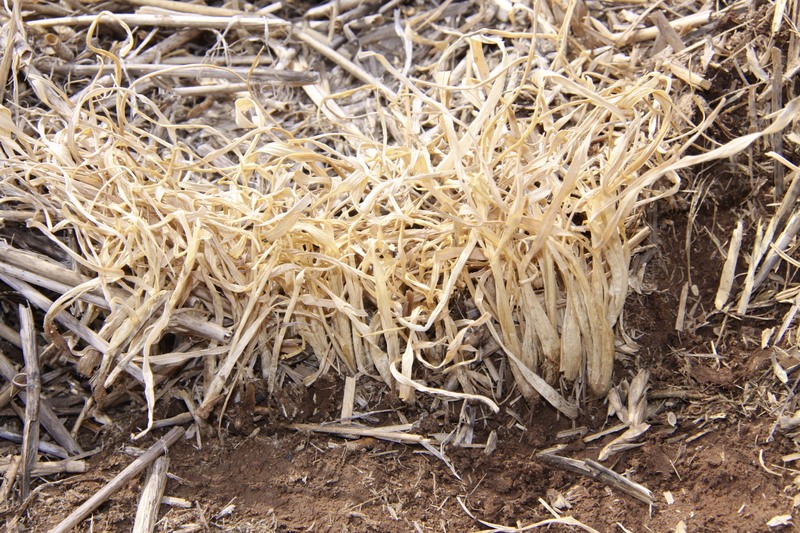 Although seeded at the proper depth, some wheat plants in heavy residue areas had crown placement at the soil surface. This increased the severity of winterkill. I looked at a few fields south of Enid. 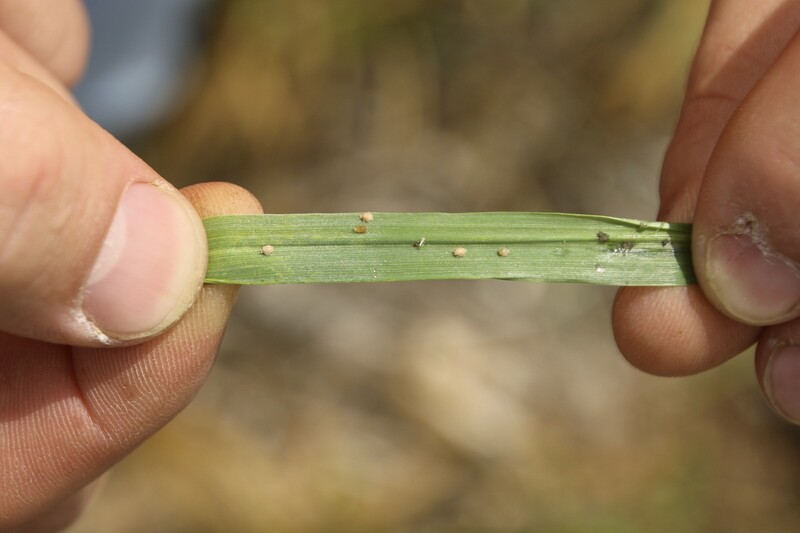 Unlike the fields in Grant, Alfalfa, and Woods Counties, this primary issue in these fields was winter grain mite instead of brown wheat mite. The symptoms were areas of the field having a silver tint. 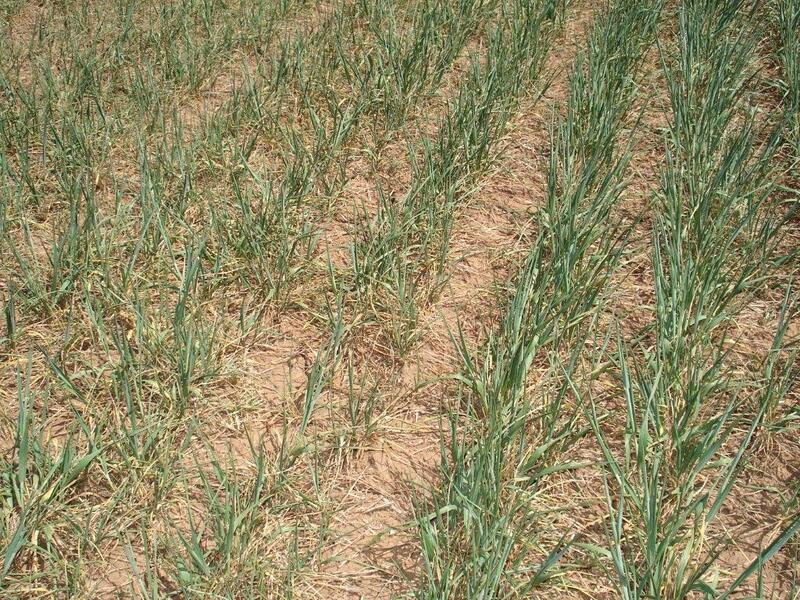 Some areas had died or lost several tillers and these areas got bigger as the season progressed and dry conditions worsened. 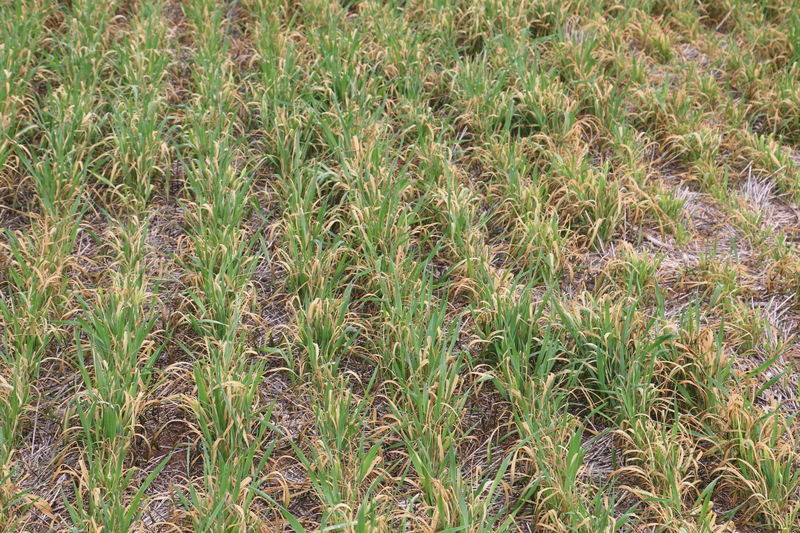 Field affected by winter grain mite south of Enid. Note the silver tint of the wheat on the left side of the terrace. I ended my tour at Marshall, Oklahoma where I did not find any insects, but did find some thirsty wheat. All of the insect issues I encountered today can be corrected with scouting and insecticides. 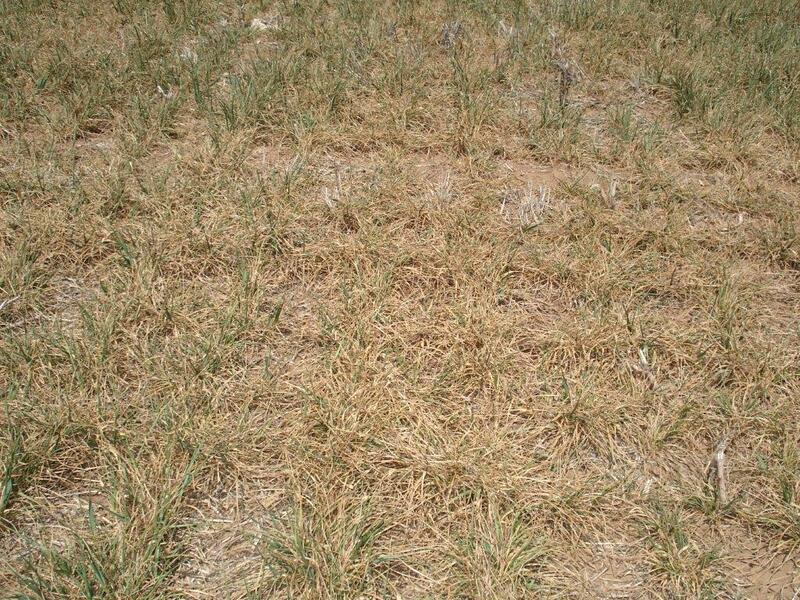 Wheat winterkill was present, but rarely affected entire fields and was not that widespread. 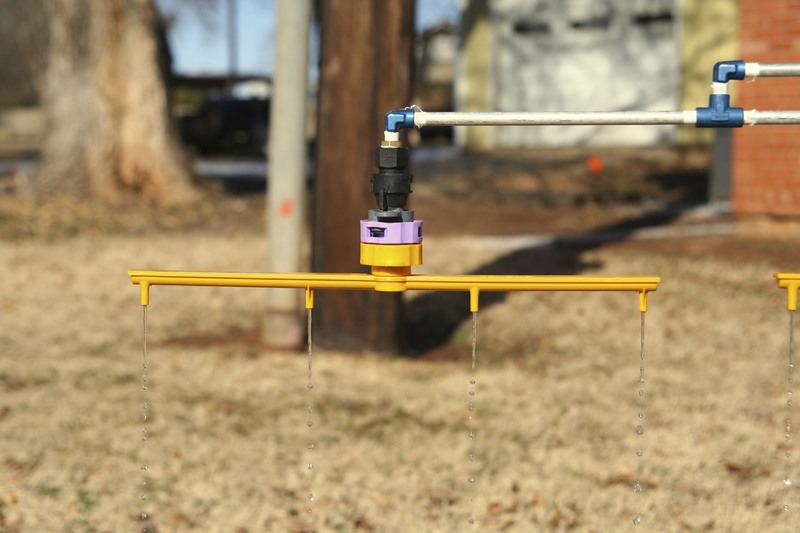 The primary concern for all of Oklahoma remains lack of moisture. There are some fields in north central and northwestern Oklahoma with good yield potential; however, the best areas are starting to turn blue due to lack of moisture. Another couple of weeks of warm temperatures and wind without rain will turn blue wheat to brown. We need moisture. 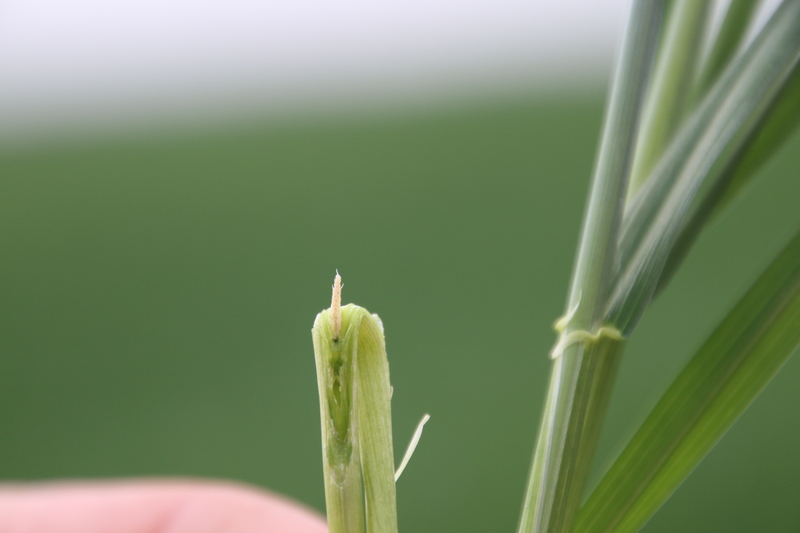 On April 4th I toured southwest Oklahoma and surveyed freeze injury to wheat. In my experience, most freeze events are overhyped; however, this one was the real deal Holyfield. I traveled a route from Faxon to Chattanooga to Altus to Blair and ended up at Apache. Damage was similar at all sites, with injury ranging from 50 to 80%. The best looking wheat was the hardest hit. Particularly troubling are some fields in the Altus area that easily had 80 bushel potential prior to the freeze. In most of these fields we are too far past the tillering stage to have yield compensation from secondary tillers. Late-emerging fields that were jointing or smaller escaped the freeze with little injury. Fields that had been heavily grazed and/or under-fertilized also escaped with relatively minor injury. 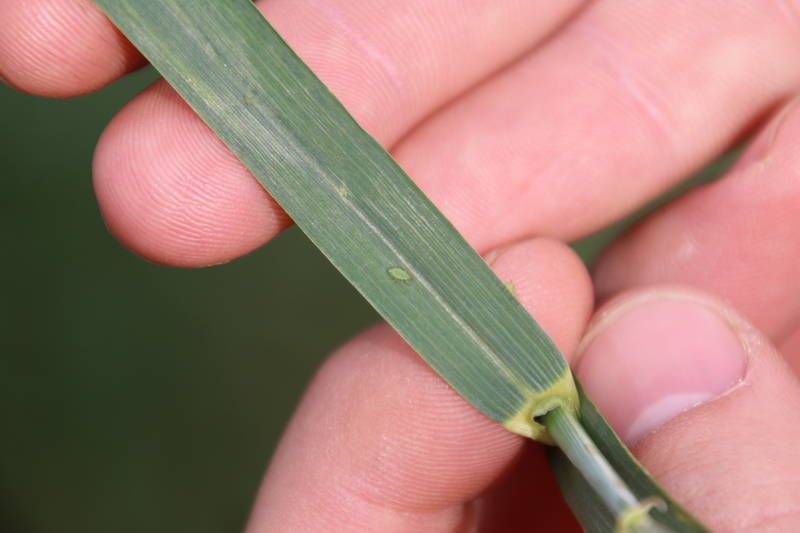 Conditions improved slightly when I checked wheat in the Chickasha area and injury was more in the 10 – 30% range. I am frequently asked if the injured wheat head will go ahead and “push through” as the season progresses, and the answer is no. So, if you see heads emerging out of the boot in a few weeks, they are likely not damaged and a head count at this stage will be a reasonable estimate of fertile heads. 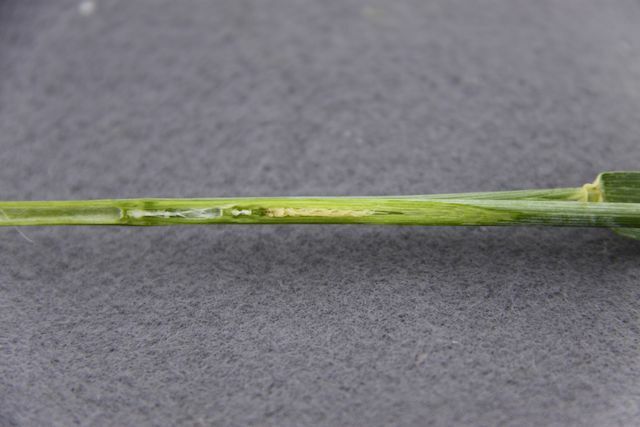 Since there will not be additional stem elongation in freeze injured wheat, it will not accumulate as much tonnage as in a ‘normal’ year. I have posted a few pictures below showing freeze injury symptoms. 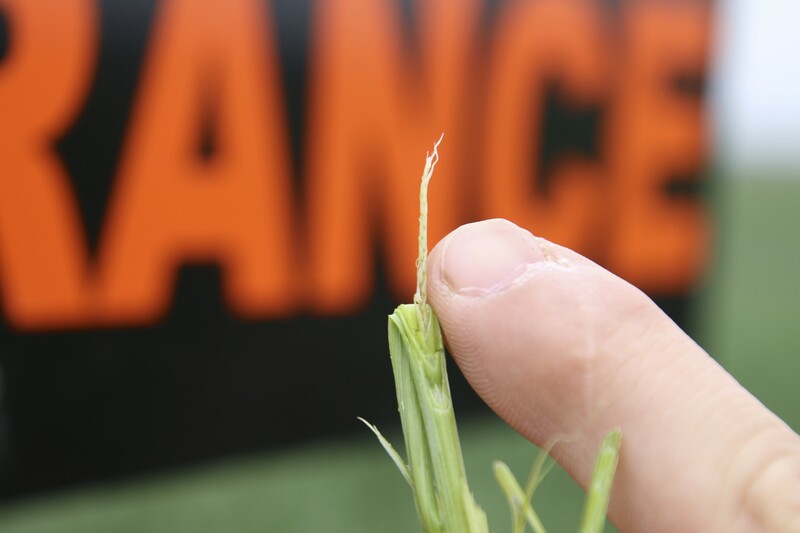 Freeze injury can vary greatly among fields and even within a field. 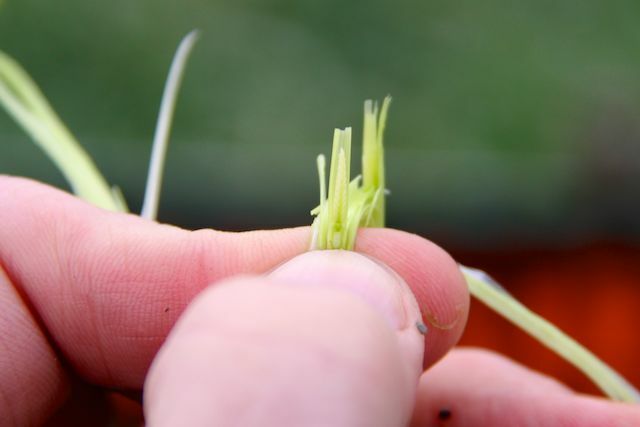 So, it is important to check several sites within a field and split several stems when determining the percent injury. Check early maturing varieties such as Jackpot, Billings, and Everest first, as they are most likely to have injury. Endurance wheat collected from plots at Chattanooga, OK. The two top heads are freeze damaged and will not recover. Note the shriveled, white appearance of the wheat head. The bottom head was not injured and is healthy green. A healthy head of Endurance from Apache, OK. 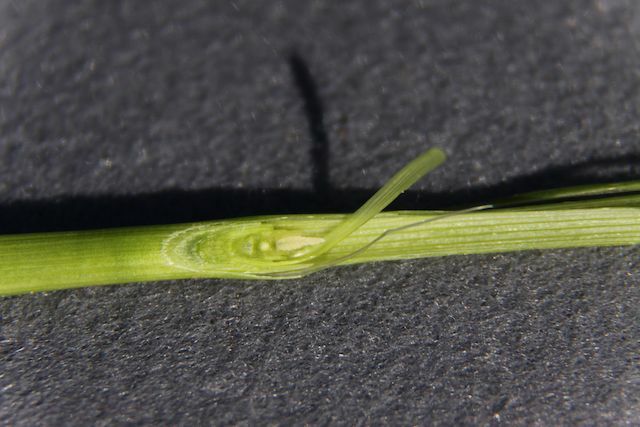 Even though this wheat was just past jointing, it was injured by the freeze and the head was lost. A sign of the drought. 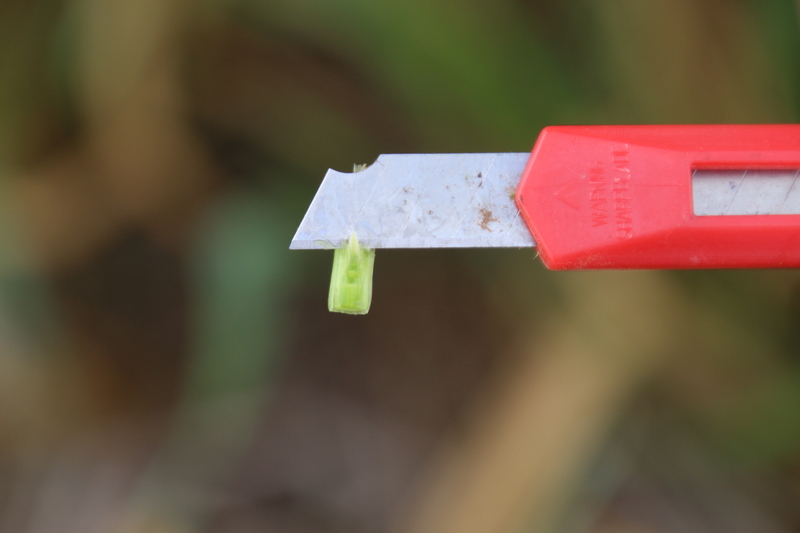 Wheat seed still easy to find on a sample from near Altus, OK April 4.